With Our Same-Day Dental Implants, We Can Replace Your Missing Teeth In Just One Visit! Call Today To Schedule A Free Dental Implant Consultation! 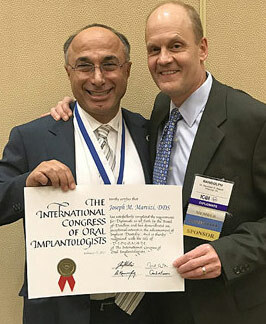 Los Angeles Dental Implantologist Dr. Marvizi has helped hundreds of people with missing teeth reclaim their confidence and esteem. If you’ve been suffering from tooth loss, he will help end the discomfort and get you smiling and chewing again. THEN Dental Implants ARE The Answer! More Natural Looking – Dentures that are placed over dental implants look, feel, and function more like your natural teeth. No Movement – When dentures are anchored to dental implants, they will not move, which is not the case with removable dentures that are fixed to the gums with adhesives. Are You Missing Most or All of Your Teeth? 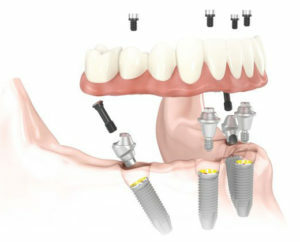 The All-on-4 Same-Day Implant Solution! The All-on-4 dental implant treatment is our solution for replacing a full arch of severely damaged or missing teeth. The entire arch of teeth can be securely fastened with just four strategically placed implants. 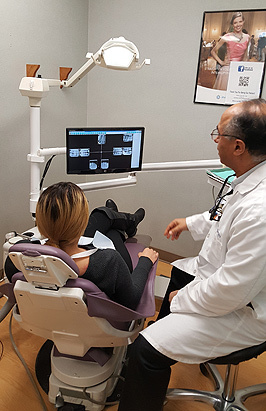 The placement and angle of the dental implants enables Los Angeles dentist Dr. Marvizi to place the implants without intruding on the sinus cavities and nerves and also makes the treatment ideal if you have a thin or weak jaw bone. On a daily basis, we treat patients who are suffering from extreme tooth damage and loss and if you’re one of those, we can help. No Insurance? No Problem! If you have been putting off dental work due to high costs, we can help. With our Dental Savings & Payment Plans for as low as $43.99 a month, you can get the dental help you need.